Will BTS perform in Pyongyang? Will K-pop sensation BTS perform in North Korea next year? The ruling Democratic Party of Korea (DPK) is trying to make it happen. 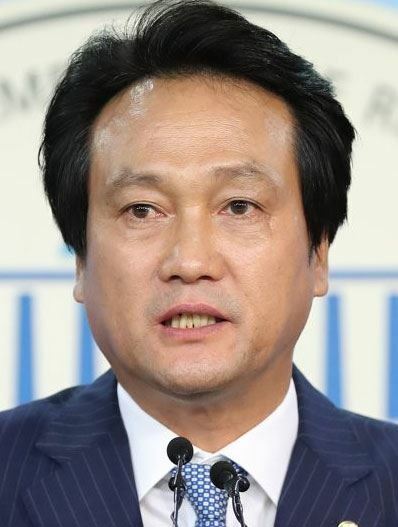 The party's Rep. Ahn Min-suk, who is chairman of the National Assembly's Culture, Sports, and Tourism Committee, said on Wednesday a special committee in the DPK had been commited to expanding inter-Korean exchanges in culture and sports. "The committee will push forward the idea of BTS hosting a concert in Pyongyang sometime next year," Ahn told KBS Radio 1 on Wednesday. When asked about the likelihood of the event, the lawmaker said: "We have to explore all possible paths ― such an exchange in the fields of culture, sports and art is achievable if the two Koreas cooperate without considering other concerned nations." He added, "Hence, I regard it is an assignment of our people to have an enthusiastic culture, sports and art exchange together before the sanctions against the North are lifted in the big picture." BTS's agency, Big Hit Entertainment, did not react to Ahn's comment. According to Han Song-yi, a North Korean defector who runs an online broadcasting channel here, the South Korean boy band is popular in the North. She said its fans exchange up-to-date information about BTS using "secret codes" to avoid the regime's crackdown on South Korean cultural content. BTS, which rewrote K-pop history by conquering the Billboard 200 albums chart, had a heroic homecoming late October after a hectic overseas schedule. The band will embark on an Asian tour next week.